Dubai-UAE: Dubai Wholesale City, a global integrated wholesale trading hub and member of TECOM Group, has signed a Memorandum of Understanding (MoU) with The China Commodity City (CCC) Group, the world’s largest exporter of goods, in China’s Zhejiang Province. Aiming to build a long-term strategic relationship between the two parties and leverage possible future collaborations between the UAE and China, the agreement will facilitate mutual trade and investment activities and the exchange of expertise, with a focus on developing wholesale trade destinations and wholesale e-commerce. Dubai Wholesale City will collaborate with the Municipality of Yiwu City and the Government of Zhejiang Province, the largest shareholders in the Commodities City Group, in terms of investment and business development in the trade, manufacturing and logistical services sectors. Abdulla Belhoul, CEO of Dubai Wholesale City, and Wenge Zhao, General Manager of the China Commodity City Group, signed the MoU in Zhejiang’s Yiwu City in the presence of senior city and province officials as well as Dubai Wholesale City delegation members. 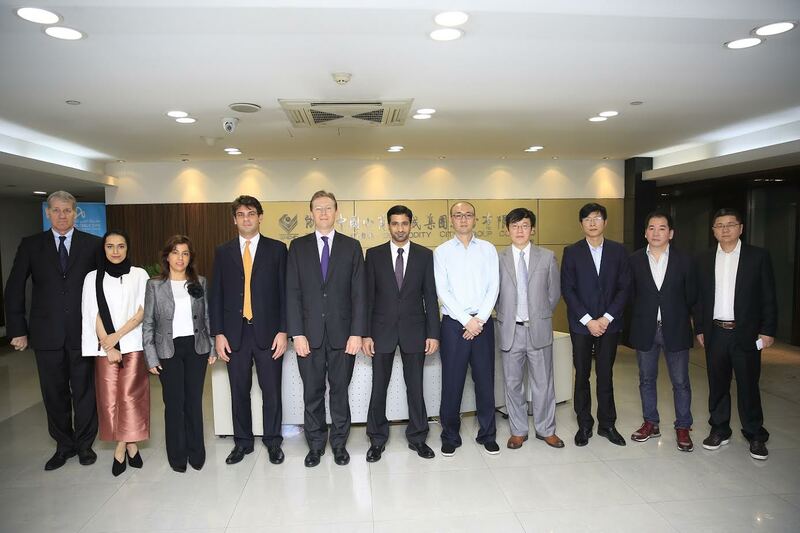 During the visit, Belhoul also met with Yuan Jiajun, Vice Governor of Zhejiang. They discussed future economic and trade relations as well as ways to strengthen mutual cooperation, particularly in relation to establishing wholesale trade platforms, and promoting joint investments and trade. Located in central Zhejiang province, Yiwu City is universally recognized as a key global commodities trading hub. The China Commodity City Group owns Yiwu International Trade Market, the biggest market for small commodities in the world. Spread across an area of more than 6.7 million square meters, the complex houses over 100,000 suppliers offering goods across a myriad of categories that are exported to 200 countries and regions worldwide. In the past two decades, the trade market in the region has evolved, transforming it into a global hub for the distribution of consumer goods that draws visitors from around the world. Nowadays, products from Yiwu City represent a significant proportion of China’s exports; for instance, more than 60% of the world’s Christmas decorations comes from here. Catering to the needs of the local and international wholesale sector, Dubai Wholesale City is a fully integrated trading destination that aims to develop into the world’s leading wholesale trading hub and strengthen the UAE’s position as a pivotal market in global trade. Dubai Wholesale City has recently announced it is accepting applications from companies and traders that would like to book space at its premises. Interested parties can apply for lease online at dubaiwholesalecity.ae or by email via sales@dubaiwholesalecity.ae. Dubai Wholesale City is set to become the world’s largest hub for international wholesale trade while also supporting other vital sectors, such as logistics, financial services, aviation, hospitality, and business tourism. The project, located just 10 minutes away from Al Maktoum International Airport and Jebel Ali Port, spans across 550 million square feet, encompassing the current location of Dubai Industrial City, which will become its integral part. Comprising specialized integrated trading parks, an international trade exhibition facility, country pavilions, and an e-commerce platform, the new development focuses on wholesale trade in a number of key commodities including food, construction materials, electrical appliances, electronics, furniture and décor, machinery, equipment, wood, vehicles and spare parts, as well as textiles and clothing.